Millions of Christians celebrate Easter and consider it the most sacred day of the year. But are Easter celebrations and traditions endorsed in the Bible? And if not, then what is? Easter Sunday is celebrated by millions around the world as the day of Jesus’ resurrection. However, there is not a single verse in the Bible instructing Christians to celebrate His resurrection, nor is there any use of the word Easter in the original text. Neither Jesus nor His apostles are recorded ever saying anything about Easter Sunday. Instead, Jesus commanded His followers to observe the Passover as a memorial of His sufferings and death. In defining the word Easter, Chambers’s Twentieth Century Dictionary quotes the eighth-century scholar the Venerable Bede: “Bede derives the word from Eostre [Eastre], a goddess whose festival was held at the spring equinox.” The connection between Easter and Eostre, an Anglo-Saxon goddess, is apparent. 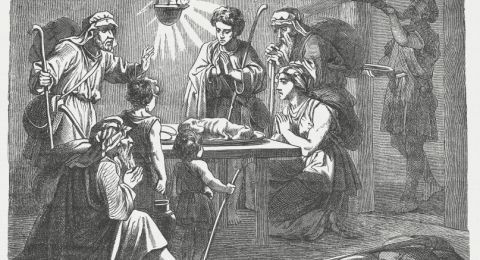 Her pagan celebrations were carried over and adopted by Christianity. “Hence there were synods and convocations of the bishops on this question; and all unanimously drew up an ecclesiastical decree, which they communicated to all the churches in all places, that the mystery of our Lord’s resurrection should be celebrated on no other day than the Lord’s day [Sunday]; and that on this day alone we should observe the close of the paschal fasts” (Eusebius’ Ecclesiastical History, Book 5, chapter 23, p. 207). The controversy over the adoption of Easter in place of the Passover continued into the fourth century. In order to resolve this issue, Constantine decreed at the Council of Nicaea that Christians should abandon the Passover and observe Easter. According to the Zondervan Illustrated Bible Dictionary: “The matter was settled by the Council of Nicea in A.D. 325, which ruled that Easter should be celebrated on the first Sunday after the full moon following the vernal equinox. This is the system followed today” (p. 380). 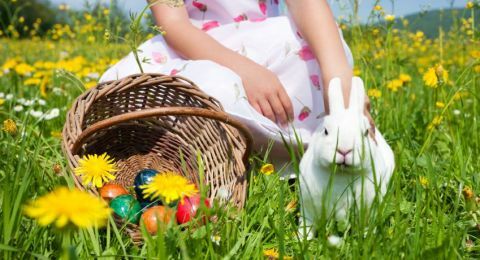 So the practice of observing Easter on the first Sunday following the vernal equinox instead of Passover did not originate from God or the Bible, but was an entirely human invention. Let’s take a closer look at the day God did establish. God instituted the original Passover on the eve of the Israelites’ departure from Egypt (Exodus 12:1-13). It was called “the LORD’s Passover” (verse 11)—because it belonged (and still belongs) to God. The lamb was killed just after sunset at the beginning of the 14th day of Abib (or Nisan) in the Hebrew calendar. The blood was spread on the Israelites’ doorposts and was a sign for God to pass over their houses and spare the lives of the firstborn (verses 7, 13). The lamb was symbolic of Jesus Christ. Just as the blood of the lamb saved the firstborn, the shed blood of Jesus Christ allows our sins to be forgiven, saving us from the death penalty for sin (Romans 6:23). It’s only through Christ’s sacrifice that we have any hope of eternal life (John 3:16). The Old Testament Passover pointed forward to Jesus Christ, the true Passover Lamb (John 1:29). When He was a child, Jesus traveled to Jerusalem with His family to observe the Passover every year (Luke 2:40-42). Jesus continued to keep these days throughout His adult life (John 2:23). In fact, He was celebrating the Passover with His disciples on the night before His terrible suffering and death (Matthew 26:17-21). This meal is often erroneously called “the Last Supper” or “the Lord’s Supper,” which diverts attention from the fact that they were keeping the Passover. Just as the blood of the lamb saved the firstborn, the shed blood of Jesus Christ allows our sins to be forgiven, saving us from the death penalty for sin After that Passover meal, Jesus Christ introduced new elements to the Passover service. He set an example of humility by washing His disciples’ feet (John 13:1-17). He said, “For I have given you an example, that you should do as I have done to you. … If you know these things, blessed are you if you do them” (verses 15, 17, emphasis added). Next, Jesus instituted the New Testament symbols of the unleavened bread, representing His body, which would be ruthlessly beaten (Luke 22:19), and the wine, representing His shed blood for the forgiveness of sins (Matthew 26:27-28). 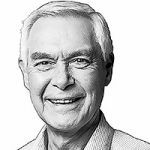 When you read the Gospel accounts, you notice that Jesus never said He was abolishing the Passover and replacing it with something entirely different and new. He merely introduced new symbols for the ceremony. Some contend that the Passover is only for Jews. However, even Paul, the apostle commissioned to take the gospel to the gentiles, taught Passover observance as Christ instructed and never once wrote about Easter. “For I received from the Lord that which I also delivered to you: that the Lord Jesus on the same night in which He was betrayed took bread; and when He had given thanks, He broke it and said, ‘Take, eat; this is My body which is broken for you; do this in remembrance of Me.’ In the same manner He also took the cup after supper, saying, ‘This cup is the new covenant in My blood. This do, as often as you drink it, in remembrance of Me.’ For as often as you eat this bread and drink this cup, you proclaim the Lord’s death till He comes” (1 Corinthians 11:23-26, emphasis added). 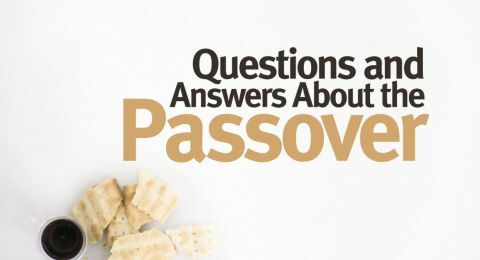 Members of the Church of God today continue to proclaim the Lord’s death every year at the Passover ceremony, which occurs on the same night Jesus ate the Passover nearly 2,000 years ago. Andre van Belkum currently serves as the pastor of the Church of God, a Worldwide Association, in New Zealand and the Pacific region. Previously he pastored congregations in southern Africa, including South Africa, Zambia, Zimbabwe and Malawi.